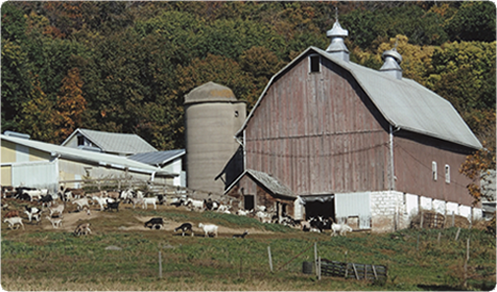 Our farm is nestled in a valley of the scenic Caledonia bluffs in south central Wisconsin. The items we offer here at Considine Creations are basically made from the products of our farm. 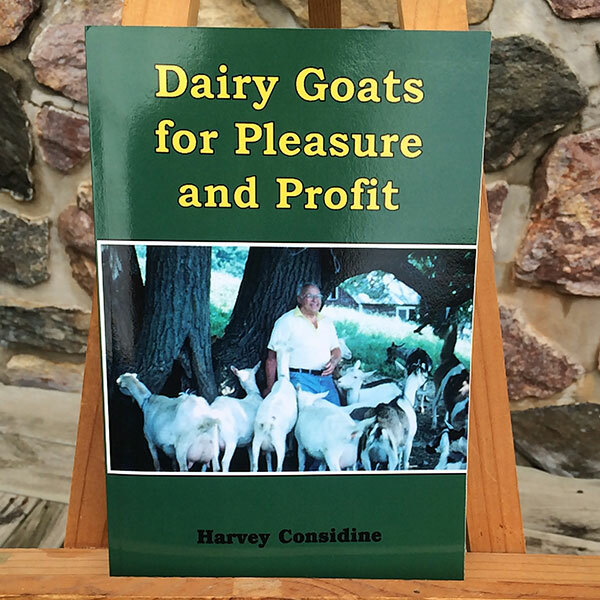 Dairy goats provide healthful milk for our family and for a goat cheese factory, and yield durable leather for our thimbles. Corriedale sheep produce wool for spinning and for the pincushions. 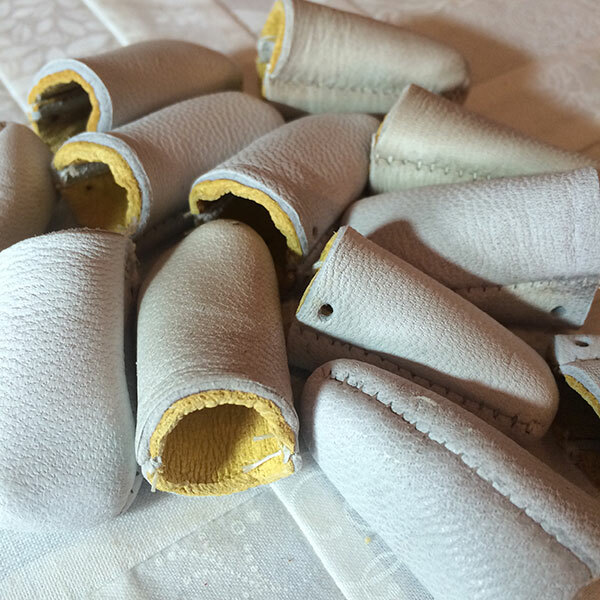 This business started with the popular goat leather fingertip thimble. It is now available in five sizes. There are many styles of pincushions. Thank you for considering these unique products. You Will Love Our. . .
Double-thick goat leather thimbles make sewing so much easier. 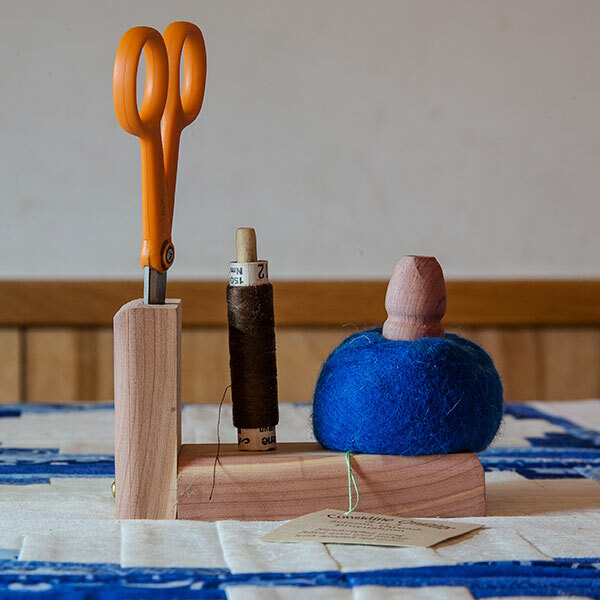 Hand-felted pincushion on sturdy cedar base is colorful, practical…and charming. 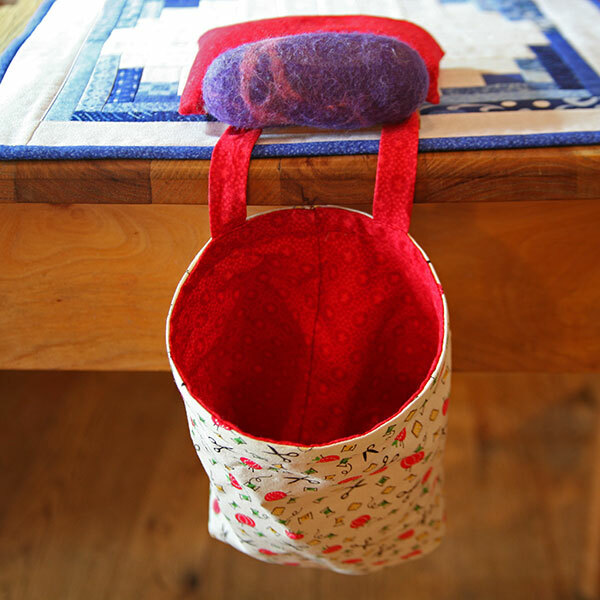 Take this bag wherever and whenever you sew. If you would like to receive information via email regarding our products, please enter your email address and click Send. Please state any color preferences. If you are unable to print off order form, please write out order and mail to address shown above.